Elo, the original inventor of touchscreen technology, today announced a portfolio of touchscreen platforms for the global gaming industry based on Elo iTouch surface acoustic wave technology. Leveraging energy-saving LED technology that reduces power consumption by fifty percent, the stylish zero-bezel, true flat clear glass touchscreens are available in a variety of sizes for gaming machine, loyalty program kiosk, interactive directory map, sports book, hotel, restaurant and retail applications. The Elo 24-inch true flat touchscreens will be on display in booths 4019 and 4041 during the G2E Global Gaming Expo Las Vegas to be held 24-26 September 2013. The broad range of Elo open-frame gaming touchscreens spans sizes from 12 to 32 inches in standard or widescreen aspect ratio. Elo’s clear glass SAW technology preserves the picture quality of new games developed with full HD graphics, meaning the touch display colors and clarity precisely match the non-touch display. Single-touch or multi-touch interactive capabilities are available in a mini-bezel IntelliTouch or true flat iTouch zero-bezel design using surface acoustic wave (SAW) touch technology or projected capacitive technology (PCAP). Elo surface capacitive (SCAP) touchscreens lower maintenance costs of gaming machines already deployed by plugging directly into third party touch controllers. Elo interactive digital signage is designed for loyalty kiosk or directory way finding applications with screen sizes ranging from 32 to 70 inches with integrated computer modules. Elo sales and support professionals support customers in more than 80 countries in the local time zone, speaking the local language, and delivering quickly from warehouses on each continent. 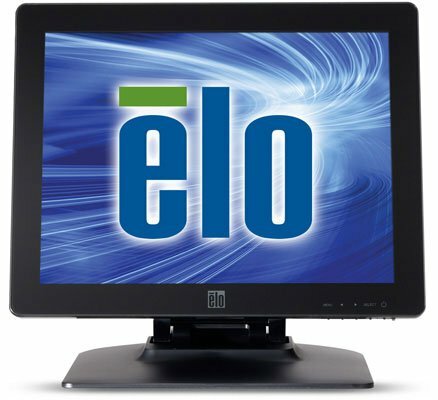 Elo touchscreens use professional, commercial-grade components designed for extended lifecycles – backed by a 3-year global warranty leveraging authorized repair centers in over 30 countries.